What does the book selling community think? Confronted with these issues, how would the Zen creator respond? 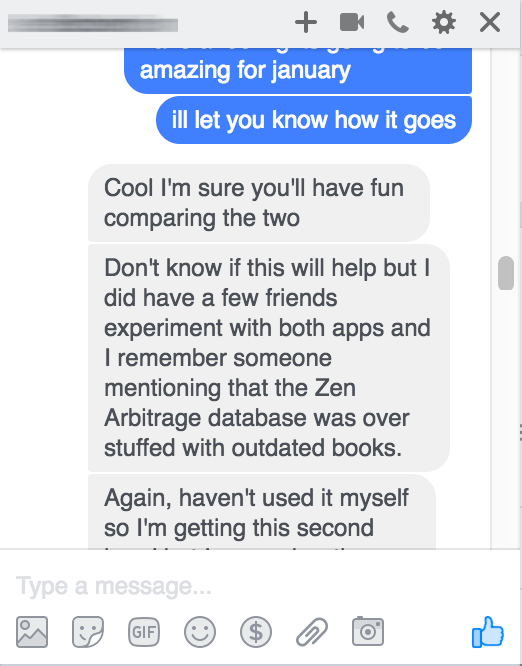 I asked a couple of people I talk to in the book selling community about eFLIP and Zen Arbitrage. Both of these people are well-respected re-sellers in the community who make a living buying and selling books. I wanted to get a feel for what others experiences of each software were. Here is what they said. The context: This is basically a discussion between myself and a well respected book reseller regarding the tremendous value a book flipping software would have during Textbook Season in January (and September). He gave some input as I told him I was testing both pieces of software and from the response, his impression of Zen Arbitrage wasn't good. He had friends that had tested it and they had basically told him the database was not very good. He goes on to mention that there are affiliate links hard coded into the buy function of the application and that it wasn't disclosed. Personally I have no problem with affiliate links, and if I promote a product through one I always make sure I can try to offer the person a benefit over what they would normally get if they did not buy through my link. However, when you are already charging $79 per month to use the software, hard coding affiliate links on top of that really seems pretty unnecessary. Either way, not a make or break issue for me. The database size issue however IS a very big issue. To recap, this person had not tried either software but had friends who did try both. Their opinion was that eFLIP's database was superior. This was exactly what I found after testing both softwares but let's move on to the next persons comments. The context: I was talking to someone about a bulk deal in my area (hundreds of thousands of books) and asking if they would want to be cut in on the deal, as there were far too many multiples of longer tail books I would not want to buy all for myself. During this conversation they brought up eFLIP. First I want to say the person I was talking to here is a very, very well respected member of the online book selling community and is well-regarded by pretty much everyone. 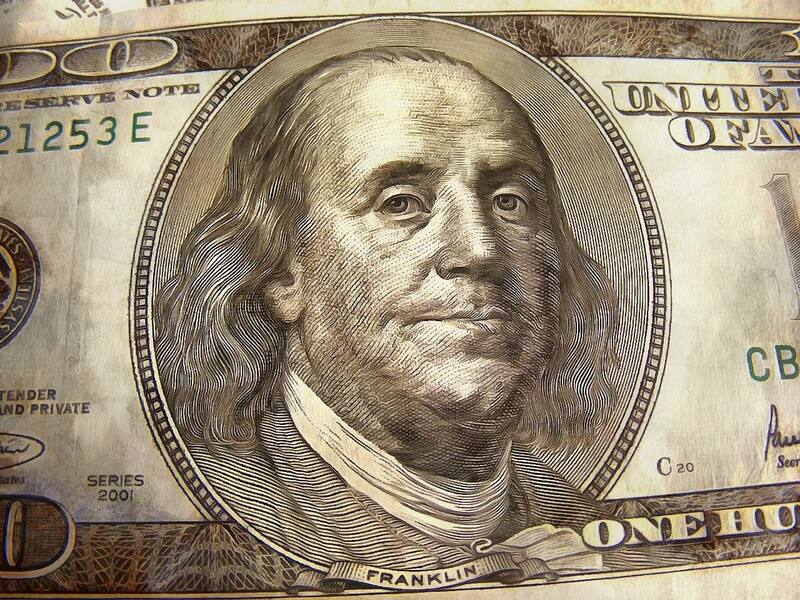 I personally regard their opinion very highly as do many others in the reselling world. 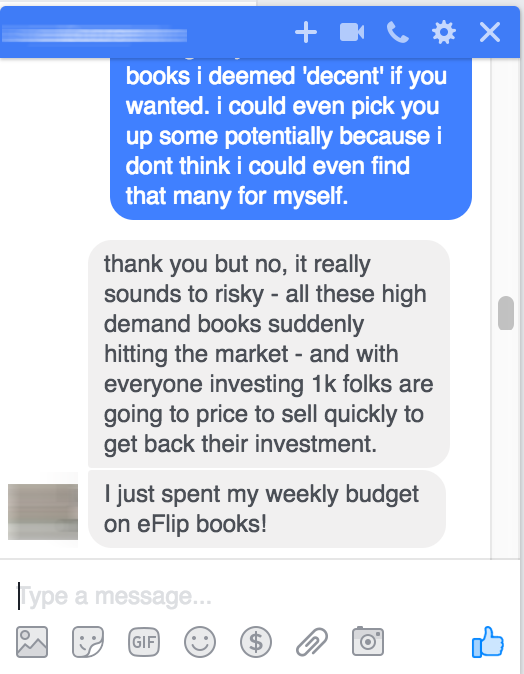 "I just spent my weekly budget on eFLIP books! "yes, I have (analyzed profit margins of my eFLIP finds) - well, I have a spreadsheet. A friend helped me analyze it a month ago and he was so pleased with the results that he signed up for it too." This person doesn't mention Zen Arbitrage here but does bring up eFLIP. 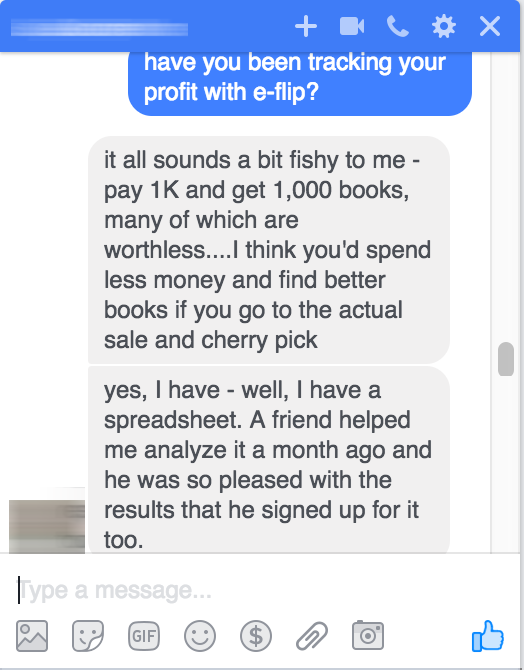 I was curious how well they were actually doing reselling books that they found with eFLIP and they said not only were they doing very well with it, but their friend who helped them analyze their sales by using it ended up signing up for their own account after being very impressed with the results. When I demo'ed both software, a couple of things became immediately apparent. Database 'Freshness' is a huge, huge deal with software like this. If you do a search and the information coming up is from 12 hours ago, you aren't going to do very well. Database 'size' is another huge issue. The software that has more relevant products will be crowned the winner here. Other features could sway my opinion somewhat, but these two factors are by far the most important. So let's compare these two features on both software. To test this, I made sure both software was set to the 'Textbook' tab. I set some search criteria such as minimum price, sales rank, publication date and matched each setting exactly on both eFLIP and Zen Arbitrage. Zen Arbitrage came back with a little over 300 results. Obviously, this is not a minuscule difference. We're talking about 3 times the number of textbooks here, what amounts to essentially a blow out. I brought this up to Zen Arbitrage's creator Peter Valley and his response was that eFLIP bought a database and thus it was 'padded' with junk that no one would ever want to see, such as 'No Sales Rank' books. Initially, this sounds like a plausible explanation so I wanted to look into it further. Spoiler: This was not the case at all, as all of the results returned that I spot checked were in fact Textbooks and would be relevant to someone using the software. So going with the theory that these results were padding and not relevant, I spot checked a few titles on each page of the eFLIP results. This was no menial task but I was determined to promote the BEST software and Peters explanation deserved to be looked into. In the end however, not one of the results I found would I consider a non-relevant result to the criteria selected on the filters. Finally, what even further proves that eFLIPs database is not padded is that books with no sales rank would never be allowed to come through on the search I did as a filter was already in place to prevent this. Thus the explanation of the results being 'zero sales rank, junk books' is not valid here. This very well may be even more important than the size of the database. Absolutely huge, huge component in a software like this. If the search results are not up to date, you are essentially wasting your time. You are looking at data that was valid hours ago, which means you aren't making any money which is the entire point of using a book arbitrage software. To test this, I simply did a 'real world' scenario search as if I were looking for books to flip using the same filters on both software. To be brief, the eFLIP results were simply more accurate. I can't give scientific numbers on this, but what I can tell you is that I clicked on just about every result on one full page of both eFLIP and Zen Arbitrage which essentially amounts to 50 items spot checked. I was impressed with how often I would check a textbook on eFLIP that looked like a good deal and find that the copy I was looking at would in fact be available for sale. You can imagine the frustration when you are going through search results and find what looks like a home run, only to find out that you were looking at old data and that low priced offer is no longer available. In the end this happened more often when going through the results offered by the Zen Arbitrage software. Both software do essentially the same thing. It just happens to be the case that one software does 'that thing' much better than the other. But what about extra features? I was ready to give hand this one to Zen Arbitrage, however since the time I was demo'ing both softwares eFLIP has added this functionality as well. I didn't get into testing this very much when I was using Zen Arbitrage, so I can't speak to the specifics of this feature. I was mostly focused on the ability to flip books and textbooks as there is HUGE potential for profits in this category since it is so seasonal. To be fair, Zen Arbitrage does have one feature that initially I thought could put it over the edge (assuming all other things were equal, which they weren't.) What was that feature? That feature was called 'Price Drop'. In essence, this is supposed to alert you by email when the price of a certain item drops below a threshold that you define, similar to an in stock alert on a product at Walmart. A very good concept, in theory. However, the implementation of this concept ended up being riddled in flaws, in the end being brought down the most by the Database Freshness issue. I ended up placing a Price Drop setting on almost 100 books, using a liberal value (hoping to test this feature in action.) In the end, I never got one email alert for any of these books, despite the fact that at least a couple of them I found did in fact go below my threshold. In the end, I suspect this was simply due to the freshness of the database. Without the ability to update these items in real time, this feature ends up being essentially pointless. The issues with Price Drop I didn't even get to explain to Peter Valley, for reasons you'll soon discover. Also, as it turns out the well known Keepa software already has the potential to do this 'Price Drop' functionality on it's own, so I recommend those looking for this feature to use this option. Both software provide similar information in their interface. With that said, I did prefer using eFLIPs interface over the Zen Arbitrage interface. The main reason was that there was no CSS styling on links you had already visited in Zen Arbitrage. Essentially what this means is that any book you've already analyzed and looked at, you won't be able to tell that you've already clicked on it before unless you are really keeping track. eFLIP clearly showed that you had already visited a link by using a different color for links that had already been visited. In my mind, this is a really basic feature that should have existed from day 1 in Zen Arbitrage. In the beginning, I initially thought Zen Arbitrage had the win on this as they had a prep company partnered with them advertised on their website but eFLIP didn't. However, after reaching out to Caleb, I discovered that eFLIP also had a prep center behind it available to its users. I got an account setup with them and so far I've been very impressed with the professionalism of the company. They even give eFLIP members a​ discounted rate. The prep center is called Texas PPS. This is another feature unique to Zen Arbitrage. It basically allows you to 'buy' or 'sell' any profitable finds you are able to find using the software. To be honest, I didn't like this feature much and I told the Zen Arbitrage creator Peter Valley as much. In my opinion this feature cheapens the software. 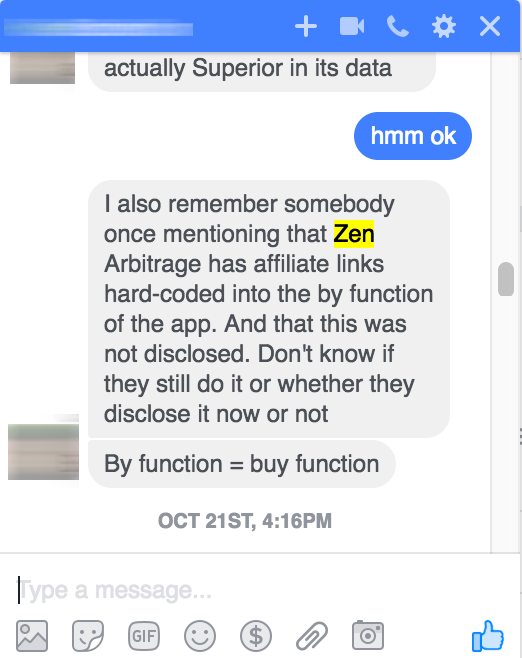 We are talking about the potential to make thousands (even tens of thousands) of dollars when this type of software is used correctly, but the marketplace feature of Zen would essentially allow people who do no reselling of books whatsoever to make small amounts of cash by reselling their finds to others. Again there are big issues with this because these offers can sit on the marketplace for hours (or potentially days) at which point these great 'deals' sold by vendors would be long gone. First, you should know that I gave up a lifetime subscription to Zen Arbitrage in order to go through with this article / video. I brought the same proposition to the Zen creator that I did to eFLIP regarding a test account to demo the software and if it was up to standard, I would promote it on my channel. All I had was a temporary trial to eFLIP, but the Zen creator gave me free lifetime access to the software before I had even written any type of review on the software. Obviously that was a nice gesture, however at the end of the day I would be recommending a paid software to my viewer base. I had a reputation to uphold. I wanted Peter to have the chance to fix these problems. Instead he immediately disabled my account. I confronted him about this, telling him that I was trying to get him some more details on my testing to help him make changes to Zen Arbitrage but noticed that though I was able to get on the software on another VPS, on my home computer I couldn't get on. I asked if there was some type of IP block on my home connection, which would explain this behavior (which would have had to have been done intentionally). He continued to dodge this question and at that point I noticed that when I tried logging in from the VPS, the account had been completely disabled. One thing that must be mentioned here is that if Peter had been more open to working out these issues in the software, I could have been writing a very different article right now. In the end, it simply didn't work out that way. I was pretty clear I was willing to work with him to improve his product. Hell, it's not like I expected to keep the lifetime access to the software after the results I ended up discovering but as it turned out once he saw I wasn't going to move forward with the review with Zen Arbitrage in its current form, he basically just shut me out. No matter what you thought about either of these products before reading this review, I would hope that anyone reading this should now have some better information to make their decision on the abilities of each software (and some more 'inside' information) to help guide their decision on which one they would rather support. At the end of the day competition is better for the end user because it forces companies to adapt and make changes. If the Marketplace is something that really makes or breaks the decision for you, maybe you would prefer the Zen Arb software. But in every single other functionality of the software, eFLIP was the superior tool. It simply performed better in all of the ways it needed to in order to win my vote. 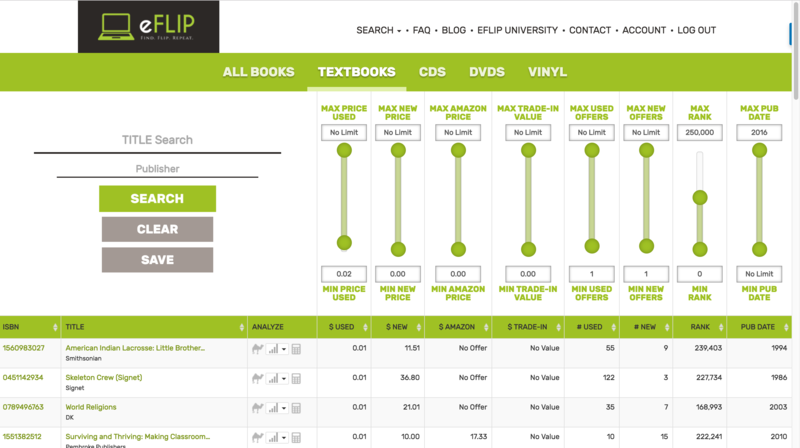 When I do textbook (or media) arbitrage for the end of this year and all of the next, I will personally be using eFLIP. "If I'm being totally honest, it's not like I wanted a lifetime membership to Zen Arbitrage at that point. The truth of the matter was, even with free access I would probably barely ever even use the software. The issues were just too big to ignore. ​"
At the end of the day eFLIP is simply a more polished product. It has a superior freshness algorithm and a larger database, which allows it to readily out-perform Zen Arbitrage by a significant margin. It is priced competitively and even has a prep center you can use right out of the gate with discounted rates for eFLIP members. I've personally found a lot of great flips by using the software and I will be putting out a tutorial after this going over my strategies on making money using eFLIP. Until then, you can give it a try by using the link below which offers a free 21 day trial. Hey Jim thanks so very much for that in-depth post Zen arbitrage versus eflip. Even the novice and totally new to even the concept of flipping books, I recognize a concerted amount of effort and time on your part to shed light, save time and money for the rest of us. So now my question is do you still nominate eflip vs OAXray vs Tactical Arbitrage? Or perhaps a combo of any of the three? This is asked by more than one person so I will probably do this comparison eventually. In the meantime I can tell you I used TA last year during Q4 because like anyone, I wanted to use it to make money. I didn’t spend a ton of time with it but I spent enough to form an opinion on it and the bottom line was I really didn’t like it. I could not find profitable flips as easily as with OAXRAY. If I ran OAXRAY for 15-20 minutes I could make money every time. I cant say the same for TA. Thanks Jim for the in-depth review on Zen arbitrage vs eflip. That had to be a concerted amount of time and effort on your part. Question now for me is eflip your pic over OAXray vs tactical arbitrage?